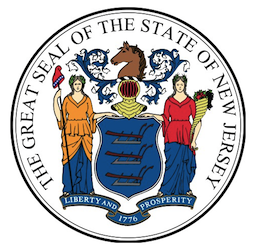 The New Jersey Division of Gaming Enforcement (NJDGE) has issued a press statement offering a thorough look at the state’s first year of regulated online gaming services. New Jersey online poker results are prominently included among the general topics covered. The nine-page report, subtitled “Achievements to Date and Goals for the Future,” was released by NJDGE Director David Rebuck on Monday. The report touches on both the successes and disappointments of the first full year of online gambling operations in the state. Several facts and figures associated with the nascent New Jersey online poker industry emerged in the report for the first time. Among them are the disclosure that that combined together, the state’s 16 fully licensed gambling domains had successfully registered 506,172 distinct player accounts as of November 30th, 2014. Note that this does not mean that the state is approaching any sort of saturation point with regard to potential players. New Jersey’s 2014 population is about nine million, of which an estimated 6.5 million of whom are age 21 and over, and are thus eligible to play on the state’s authorized sites. If players only participated on one licensed site, the penetration rate for the state-licensed services would be about 8%; however, that ignores the truth that most players, once accepting the concept, likely register for several sites. New Jersey’s actual player-penetration rates are likely more in the 2% range at the current time. At the launch of Internet gaming in New Jersey, there was a perception that online poker would predominate over slots and other online games. This prediction has not been correct. From inception through November 30, 2014, poker accounts for only 25% of New Jersey’s Internet revenue while the remaining 75% consists of other authorized casino games. Not all of New Jersey’s platforms offer poker, but the percentage breakdown for revenue on platforms that offer both poker and casino games is approximately 40% poker and 60% other authorized games. One surprise from a regulatory perspective was how operationally unprepared the platforms were to implement Internet gaming in a regulated U.S. environment. They thought they would be able to flip a switch and start up their current system here. They quickly found out that was not going to happen. There was definitely a learning curve for the operators to adjust to our regulatory framework but that has improved dramatically. Companies adapted to our new model which we believe has helped improve the industry and raised its standards. The Division had to ensure that sufficient guidelines were applied for the “Know your customer” (KYC) process. This process ensures that patron identities are known and that the players are old enough to gamble in New Jersey. To date, this system has been working very well with no evidence that underage individuals have been able to establish accounts. Speaking of establishing accounts and making deposits, Rebuck and the DGE have again stressed that attempts are being made to cut down the high percentages of blocked credit-card deposit attempts that now occur. Currently, the state acknowledges that 27% of all attempted Visa deposits and a whopping 56% of attempted Mastercard deposits to the state-authorized sites are currently being blocked by card-issuing banks, with no regard as to the legality of the specific deposits. The Division has been in discussions with the New Jersey Department of Banking and Insurance and the U.S. Office of the Comptroller of the Currency (OCC) to address the difficulties related to payment processing. Most recent statistics indicate that about 73% of Visa and 44% of Mastercard transactions are approved. A new credit card code has been created for legal online gambling transactions and it is expected to be in effect spring of 2015. The problem with Mastercard failures is particular egregious, considering that Mastercard already two new special codes back in 2013, which were designed for specific use with authorized gambling sites. Traditionally, both Mastercard and Visa had used the catch-all “7995” code to tag online-gambling transactions, and had issued advisories to US banks not to process transactions with that code. MasterCard is currently only processing around 46% of requested online gaming transactions in New Jersey. In the spring of 2015, Mastercard announced the creation of two new codes, in conjunction with the launch of Nevada’s online poker, the first regulated US online gambling offerings. MCC 9754 was introduced for all forms of regulated gaming, including online horseracing and “non-sport” online gaming, while MCC 9399 was reserved for state-run lottery deposits. Meanwhile, Visa just sent out an advisory that some “7995”-coded transactions were indeed legal, without bothering to introduce new codes. And yet, Visa transactions have achieved significantly greater success rates in New Jersey’s year-plus of live experience. Though not detailed as such, the problem appears to be intentional obstructionism by several major US banks and credit-card issuers, who are exceeding UIGEA mandates and the legal rights of players in blocking transactions. Though not specifically named, the Bank of America has frequently been cited as an excessive blocker of fully legal deposit attempts using their BOA-branded Visa and Mastercard cards, and are likely a significant contributor to the ongoing problems in regulated US states. Nonetheless, the DGE release notes that online services such as NETeller are approved to process transactions to and from New Jersey online sites, providing would-be players with a reasonable workaround. All told, the DGE summary is a fair assessment of the first year for New Jersey’s online gambling market. All observers would admit to it being a work in progress, and that’s even without the possibility of legalized sports betting being available within the state at some future date.